Congratulations to "Ptclayton", the winner in Angi's giveaway. Please contact JUST ROMANTIC SUSPENSE to claim your prize! …but she’s anything but helpless. All Texas Ranger Jack MacKinnon has to do to is keep Megan Harper alive while they hunt down whoever's framing her for a fatal shooting. But the gorgeous intelligence analyst is too independent for her own good...and Jack's peace of mind. 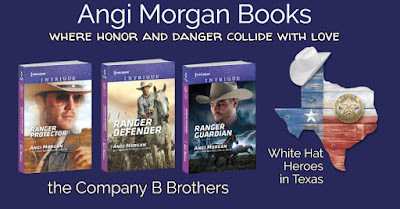 With a false murder rap and hit men gunning for her, Megan has no choice but to trust the cowboy-handsome lawman. She isn't used to playing it safe. Yet how can she let Jack put his career and life on the line? And how can they ignore the desire ratcheting up the stakes, tempting them to take one last risk before a killer erases their future? Vivian Watts’s mission to prove her brother’s innocence has left her destitute and desperate. So when Texas Ranger Slate Thompson arrives with his knock-me-out blue eyes and belief in her case, she dares to hope again…until her apartment is burned to the ground. Slate offers refuge at his ranch. When evidence suggests Vivian is being hunted…can he face down the real killer to protect her? Saving her together is their only option. The alternative is unthinkable. 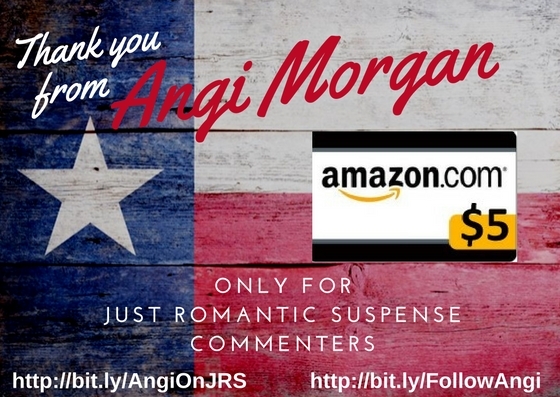 Giveaway on JRS ends at midnight October 19th. 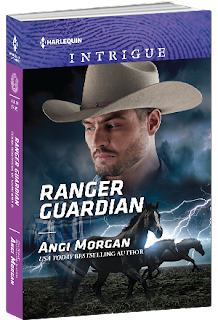 Contestants enter drawing by leaving a comment on Just Romantic Suspense. Don’t forget to check back to see who won! Do you like reading excerpts? 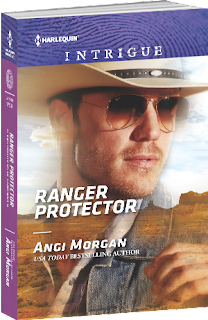 Hi Angi, I like reading excerpts, then buy the book. 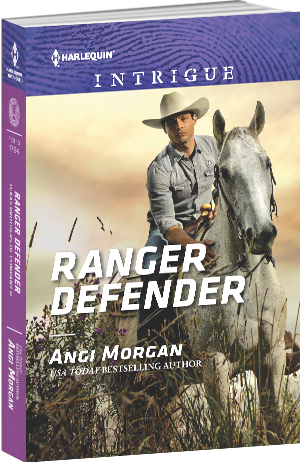 Your "Ranger Guardian" sounds interesting! I like them as long as they don't give to much if the story away. If it is a go-to author I will not read cause like to be surprised. I love seeing a piece of what the story is about... some are really attention grabbers! Not very often, but the one time I did it was by an author I haven't read in 2 years and after I read the free first chapter, I had to read the book. That book turned out to be the 1st book to ever make me cry tears down my face and became a top fav book of the year. Sometimes. I like your style of writing.